I write a lot about the meat industry from the outside looking in. So I was delighted when an inside look at the industry fell into my hands: a real-life meat industry image makeover plan. A source who wishes to remain anonymous gave me printouts from an internal presentation delivered by an official from Sara Lee. 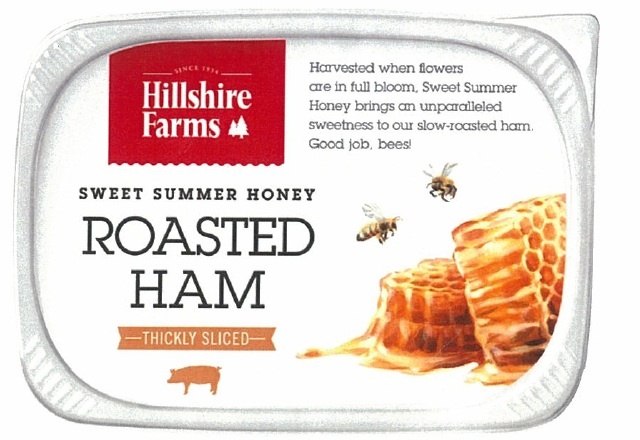 The company is best known for its sickly-sweet pies and cakes, but it has emerged as a major player in the packaged-meats market, with a brand list that includes Ball Park franks, Jimmy Dean sausages, and Hillshire Farm deli meats. 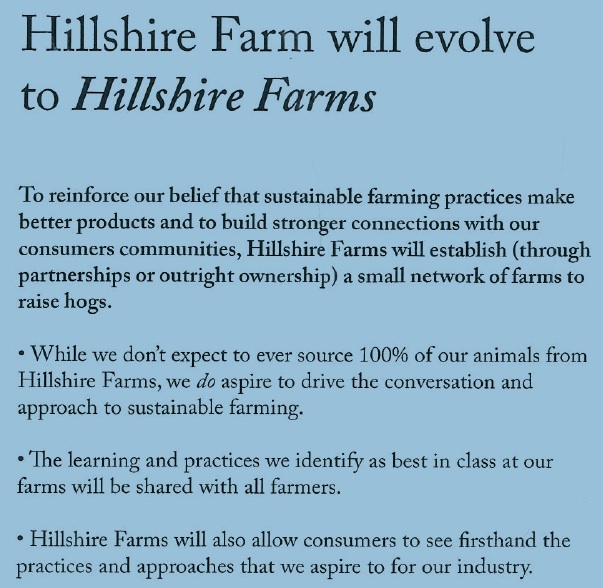 (Well, it’s called Hillshire Farm for the time being anyway—as you’ll see below, that may subtly change soon.) Sara Lee has announced plans to split into two parts, one of them focused solely on packaged meat company (a “pure play” meat company, in Wall Street jargon). 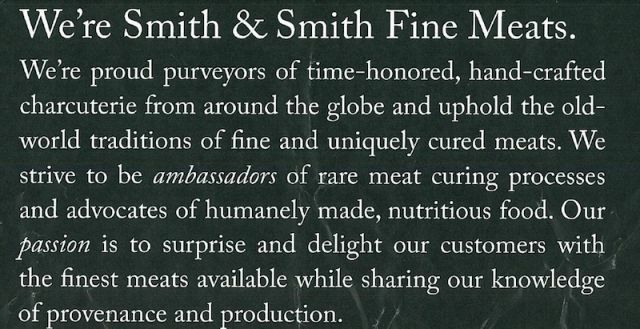 The plan I received highlights marketing ideas for the emerging meat company. Below are some highlights. Warning: We are about to enter the strange arena of marketing, where fictional worlds are conjured up out of whole cloth for the sole purpose of moving goods. Note those dangling peppercorns ripening on the vine. 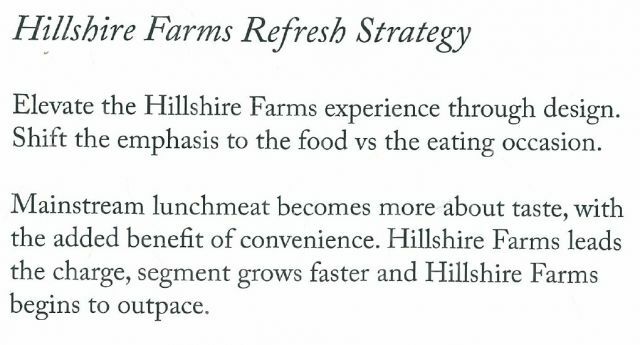 Those will be a key aspect of the new Hillshire Farms brand—particularly, the roast-turkey product. Good job indeed, bees! Though I have to wonder if our friends in Sara Lee’s marketing department have been reading about all the dodgy Chinese honey that’s been gushing into the United States as our own bee populations decline. Generally, I find it interesting that the plan isn’t to herald any claims about the meat or where it comes from, but rather to focus meaninglessly on flavoring agents like honey and pepper. I should note that I did reach out to the Sara Lee press office to give the company a chance to comment on the document. Officials there confirmed that the presentation was a draft of a marketing plan for the meat division’s 2012 launch as a stand-alone company. They emphasized that the effort was a “work in progress,” and that what I had gotten hold of was already “way out of date.” That wouldn’t tell me anything else, except that all questions about the meat arm of Sara Lee would be answered at the company’s March 2012 launch presentation for Wall Street analysts—to which they graciously invited me. And maybe I’ll even take them up on it. Draft or not, what we’re seeing here is marketing professionals straining to put lipstick, so to speak, on a pig: to swath an industry built on abuse in the gauzy platitudes of sustainability, rarefied taste, and agrarianism.